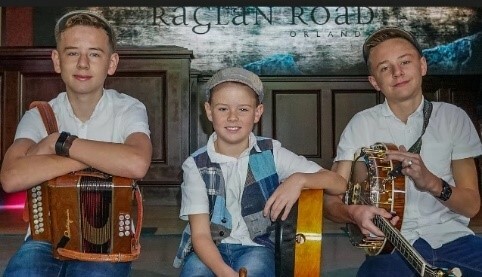 The Byrne Brothers – Luca (14), Finn (13) and Dempsey (9) along with dad, Tommy -- are a traditional family band from Dublin who now reside in Orlando Florida. Despite their age, they have garnered multiple awards and championships for their dancing, banjo, mandolin, guitar, bodhran and button accordion skills, and the 2016 video of their ad hoc performance on a Galway street got 3.4 million views, making it the most viewed video from Ireland that year. The boys – and their parents – are beyond thrilled to be making their debut performance at the Great American Irish Festival.